When we received the roller/slitter for Bedder Covers it came with several pallets. 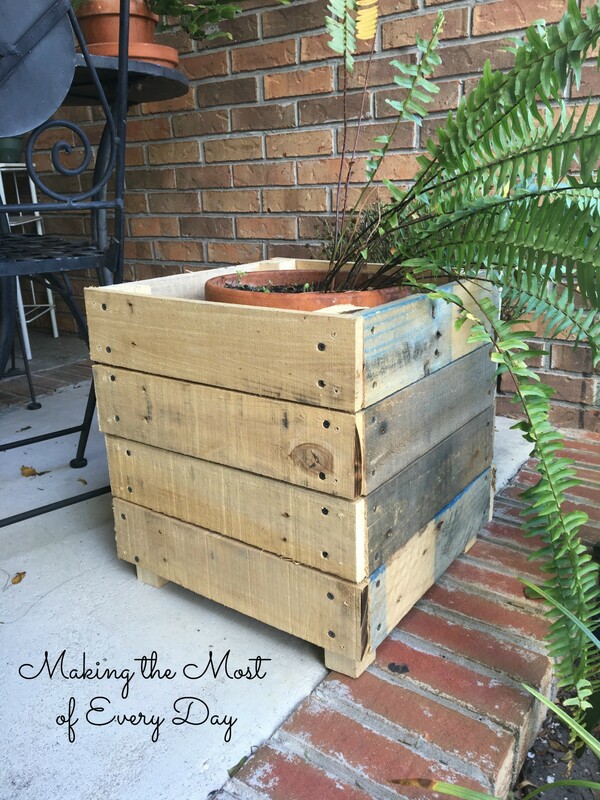 I had seen quite a few ideas on Pinterest on ways to repurpose pallets into useful or cute objects. I asked my dad if he would make me a few things. 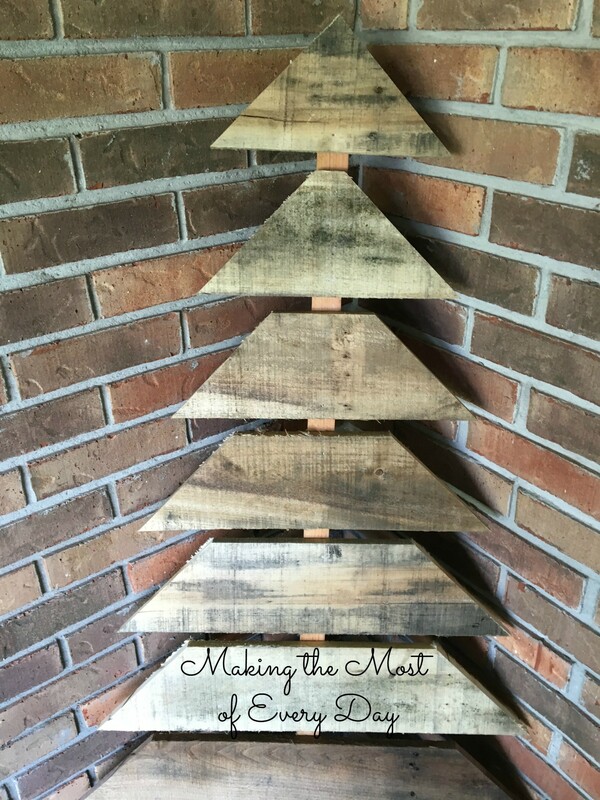 The first thing he made me I actually saw on Cristina’a blog, Remodelando la Casa. [I love her blog! She has lots of great DIY tutorials and I love her taste!] She stenciled a reindeer on hers but I had planned on painting mine white. However, I like the rustic feel to them so I am leaving them plain wood. 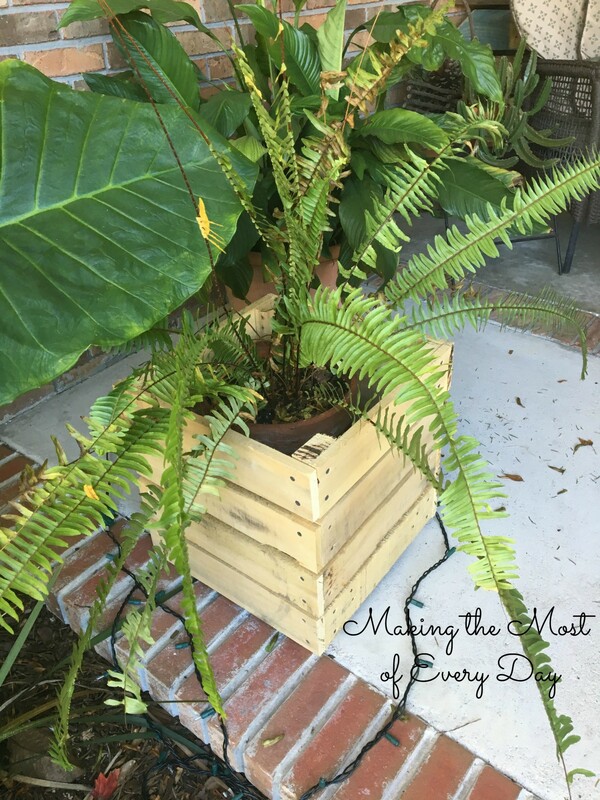 I would love some boxwoods or small trees to go in them, but for now I dug up some ferns from the backyard and am content with that. For now. Then today, we were talking about what to do with the rest of the wood. 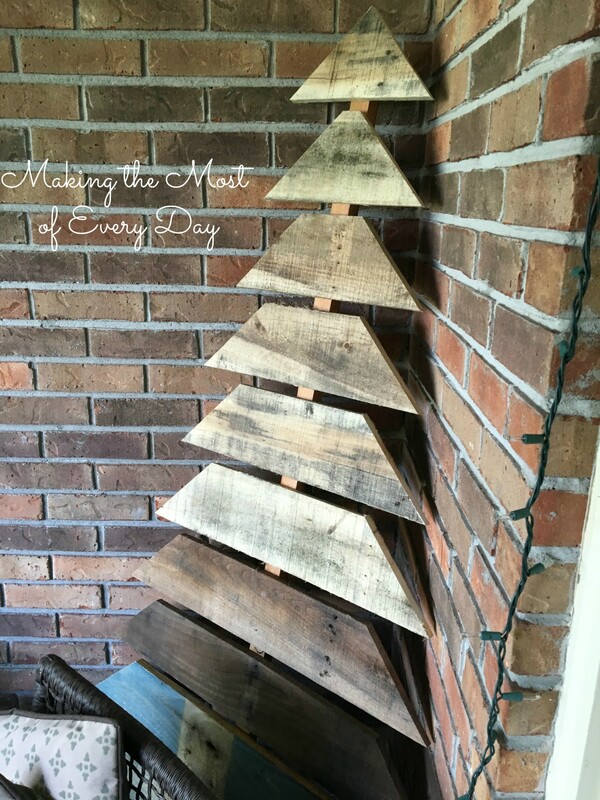 I had seen a cute, rustic pallet Christmas tree on Pinterest. We discussed how to do it and in one hour we banged it out. It is now gracing my front porch. I might bring it inside or put it in the backyard. We’ll see. 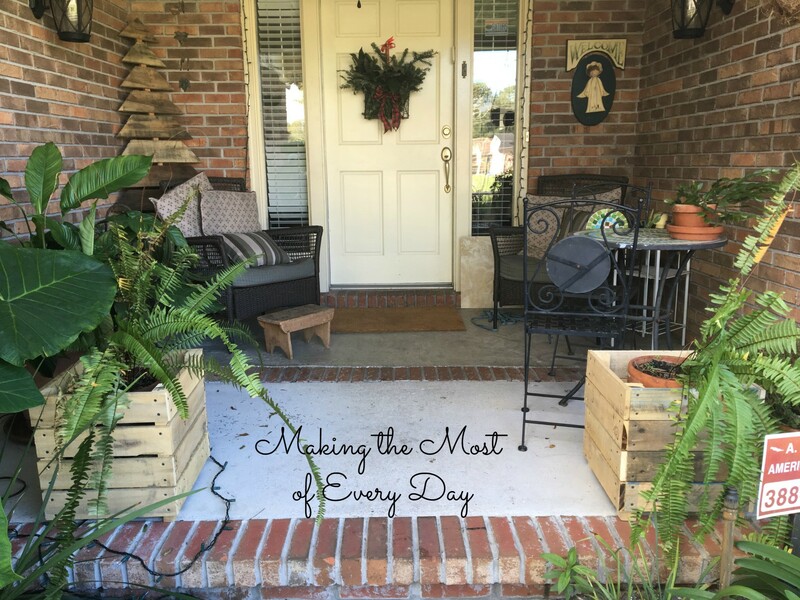 Here is my front porch, all dressed for the holidays. It’s a casual look. I’m digging that Christmas tree!!! Fun! 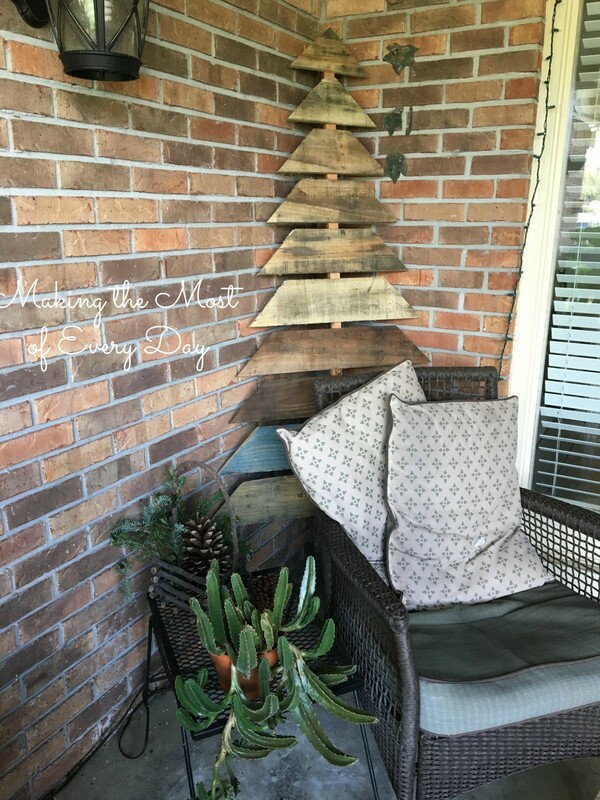 I always wanted to do something with a pallet. Love the tree. Me too! Now that I’ve started I’ve caught the bug!